1. 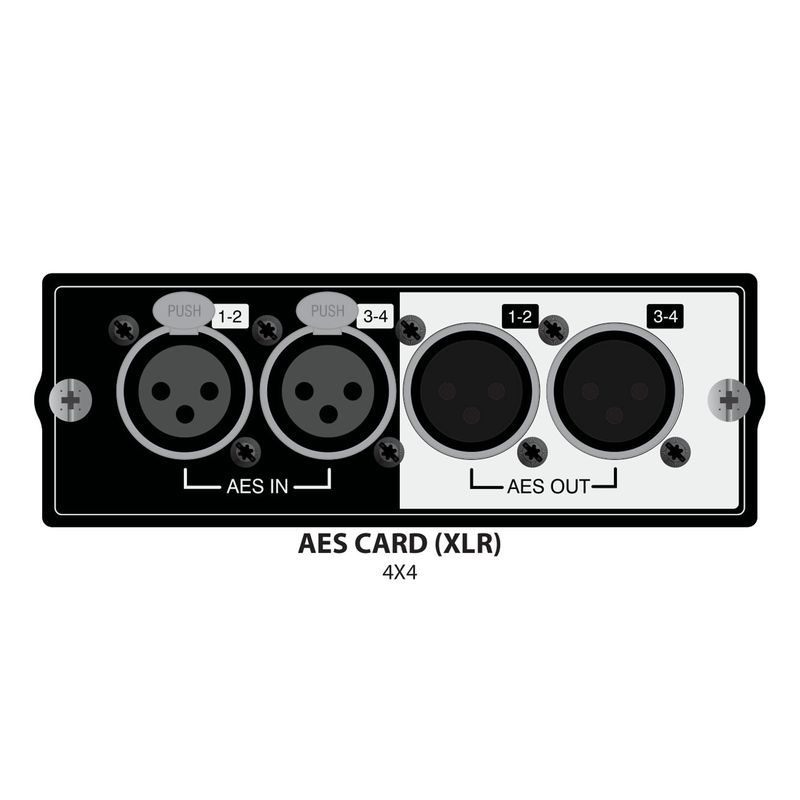 An XLR-based card with 2 pairs of AES/ EBU inputs and outputs (4-in/4-out). 2. 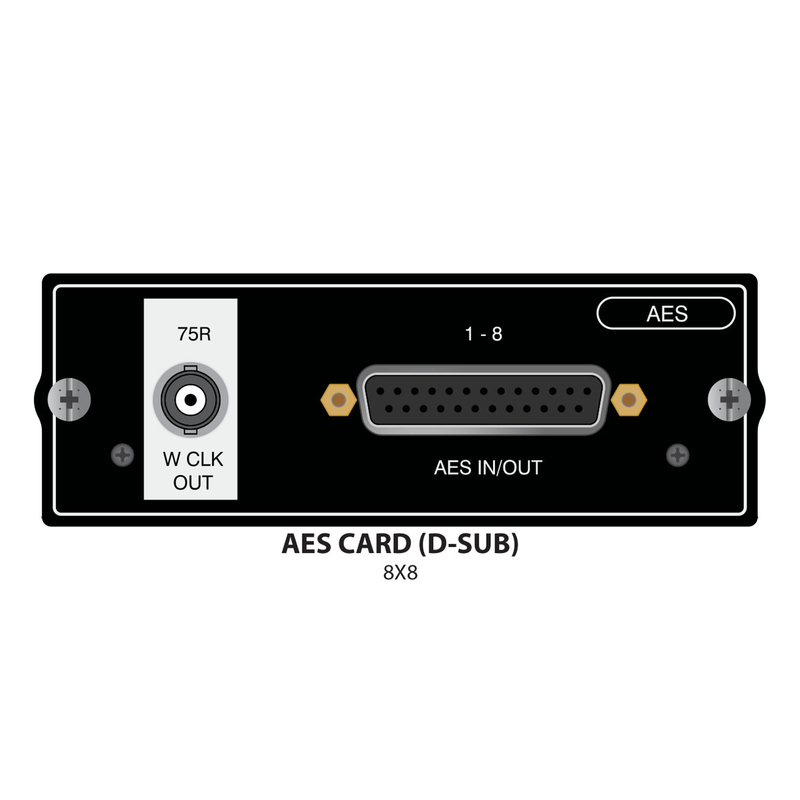 A D-Type connector based AES/EBU input/output card with 8 inputs and 8 outputs. A separate BNC connector for wordclock output is provided.